If your pup is one that loves their walks, you can bet that they’ll enjoy hiking as much as you do. The fresh air! The scenery! The smells! What’s not to love? Before you and your best friend head out, there are several things to consider to ensure you both have a fun, safe hike. Here’s a list of tips to get you started on the trail. 1. Make sure your dog is up-to-date on shots. Most dogs will want to explore everything along the trail, and just as surely as you could pick up a tick or two, so can they. Just as a precaution, it’s best to make sure they’ve got all the preventative care they can. 2. Check the trail first. 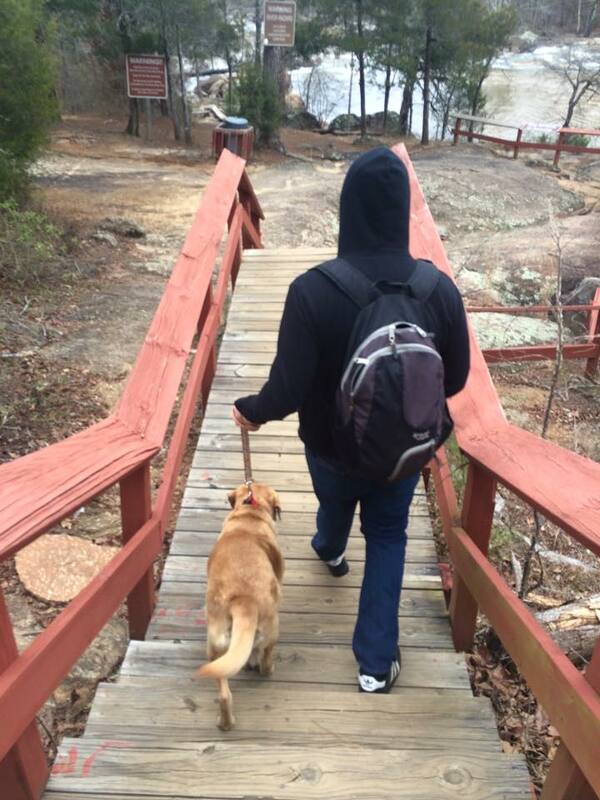 For one thing, some state parks have trails that are marked as dog-friendly…or not. But even if it’s not specified, you’ll want to make sure there are no unexpected parts of the trail that our dog isn’t capable of doing. 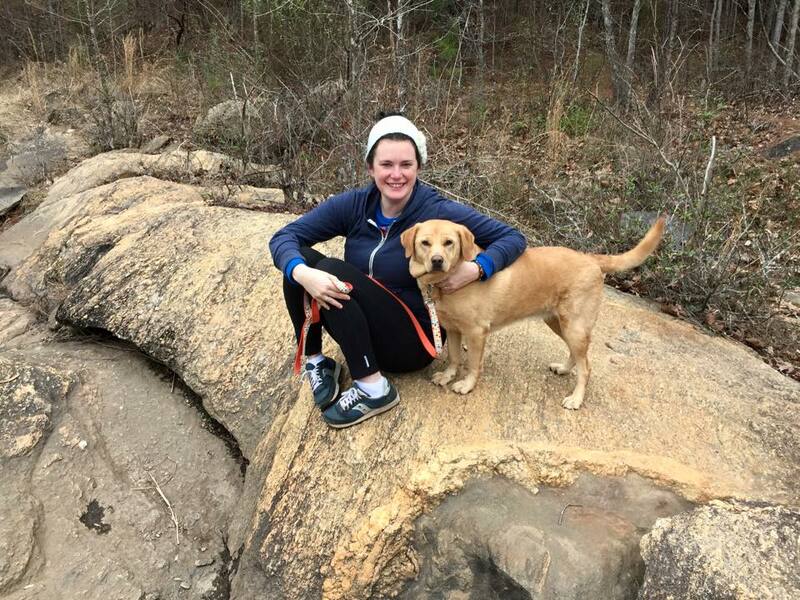 Either hike it yourself first or look for trails that are specified as dog-friendly. 3. To leash or not to leash. If it’s not required that your dog remain on a leash, then it’s your choice. Just base the decision on how well your dog listens to your voice commands. You don’t want him running off into the woods chasing something and getting into danger. Also remember that you’ll likely encounter other hikers and dogs along the way. Unless your dog is well trained and will come when you call, we recommend leashing for extra safety. 4. Don’t forget the snacks and water! It’s important for your pup to stay hydrated and well-fed during a hike. You wouldn’t hit the trail alone without water, so don’t expect your dog to go without either. Your dog, depending on weight, should be able to carry his own food and water. You might want to try a dog packs that features a built-in hydration system for watering dogs. You can also find collapsible food and water bowls for lighter carrying. Healthy dogs should be able to carry up to 25% of their body weight with no problem. 5. Be considerate to others. Along the trail, you’re never sure of who or what you’ll encounter, but everyone is out there to enjoy nature and have a good time. Make sure your dog isn’t going bark the whole time and be disruptive, or chase bicyclists or be aggressive with other dogs. If you think your buddy isn’t ready to handle all that stimulation, you may want to work with him some more before you start hiking together. 6. Pick up the poop! Someone had to say it — If your dog has to go..make sure you dispose of it properly. You can bury it away from water sources, but don’t leave it on the trail or just off it for someone to have to deal with later. That’s not the kind of nature anyone wants to enjoy. 7. Pay attention to your pup. Make sure you’re watching his progress and being aware of how he’s handling the trip. Some dogs will push on even if they are exhausted, because they want to keep up with you. Stop for breaks every so often and be aware of your dogs habits and mannerisms when they are tired or hungry. There’s no doubt your pup can be you best and most constant hiking companion. The best part is, if you play it safe and take care of their needs, you furry friend will love the trail as much, if not more, than you do. It’s a wonderful thing to do for your dog…let them enjoy the outdoors with you!